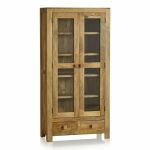 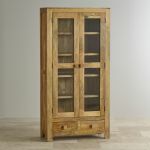 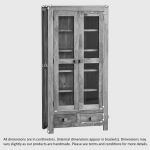 Hand crafted from A-grade solid mango, the Mantis Light Natural Solid Mango Glazed Display Cabinet is a magnificent piece of furniture for living rooms, dining rooms and halls alike. 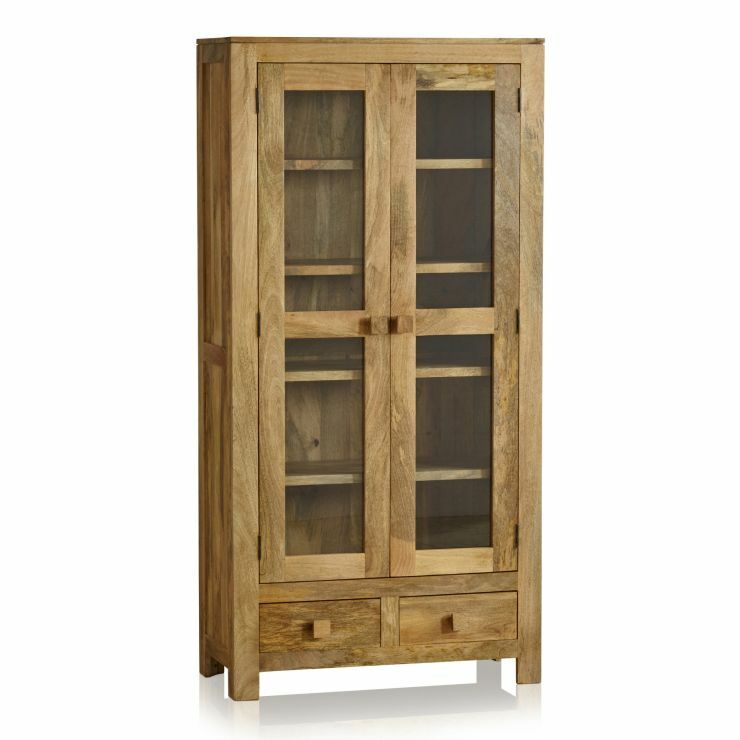 Behind the two glazed doors you’ll find five strong shelves for holding your precious ornaments and books securely. 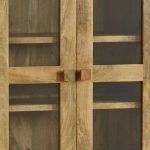 Underneath the doors there are two spacious drawers, adding useful storage by cleverly utilising the space. 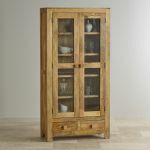 The whole display cabinet is crafted using 100% solid mango throughout; even the drawer bases and backs are made from the same top quality mango as the rest of the unit!